From its inception, Israel Bonds has enabled extraordinary advances throughout Israel. The vision of Bonds founder David Ben-Gurion, who conceived of an organization that would facilitate development “on the slopes of Jerusalem, in the Galilee, on the shores of the Mediterranean (and) in the vast spaces of the Negev,” continues to be fulfilled every day. Following are stories of how Israel has been dramatically transformed with the support of Israel Bonds. 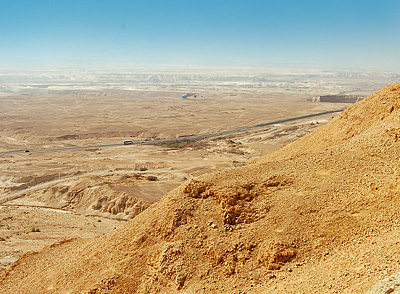 Situated in a remote corner of the eastern Negev, the Arava Valley is Israel’s most isolated region. Water resources are scarce. Temperatures can soar past 120 degrees. In every direction, the landscape is bleak and desolate. A mission mounted by the British Palestine Exploration Fund in 1865 proclaimed the area “unfit for human habitation. A visitor from Israel Bonds – the organization renowned for helping Israel achieve the impossible – discovered that through ingenuity and determination, Arava’s resilient residents have realized achievements that would astonish even Ben-Gurion, including accounting for 60 percent of the country’s vegetable exports to Europe and 10 percent of its cut flower exports. The challenges of living and working in the Arava are formidable. A harsh, unforgiving environment. Isolation. Limited resources. There are even land mines, planted during years of conflict between Israel and Jordan. When driving winter rains come, flash floods can dislodge the mines, sweeping them along in the torrent, and, says Zer, because the mines are plastic, they cannot be uncovered with metal detectors. This necessitates crawling cautiously along the ground, feeling for mines immersed in mud so they can be safely extracted. Above all else, there is the overriding issue of water, and this is where Israeli ingenuity comes into play. Desalination plants powered by solar energy. Recycled waste water. Flood capturing reservoirs. Nanofiltration. Members of one of the Arava’s five moshavim plant crops at the start of the new agricultural season. There are more than 600 farmers in the region. “Most places in the world,” asserts Fredy Zach, “don’t use water like this.” A retired IDF brigadier general who was a member of the elite paratroopers and went on to serve as a military coordinator throughout the territories, Zach is an enthusiastic advocate for the Arava, calling the region “amazing.” He takes special pride in the way the Arava is strengthening peace between Israel and Jordan. “I don’t recognize borders,” he says. Greenhouses in the desert are fulfilling Ben-Gurion’s vision of a flourishing Negev and also providing 60 percent of Israel’s agricultural exports to Europe. The Arava is also the site of far-reaching R&D. The Dead Sea-Arava Science Center (DSASC) is engaged in myriad scientific projects, including extracting compounds from desert plants to seek clues that could help cure human diseases; biotech; geology; and desertification, which has attracted international delegations eager to learn from Israeli expertise. The DSAC even devised a means of cultivating fish ponds using brine from desalination. The center’s success in breeding tropical fish in the desert won it a sustainability award. The members of the aforementioned Palestine Exploration Fund would undoubtedly be amazed by what is transpiring in this seemingly hostile environment. But this is Israel, and all this, and so much more, is what is emerging from the dramatic transformation of the Arava – a true microcosm of the Israeli spirit. August 26 marked the 75th anniversary of an incremental step forward in the annals of Jerusalem transportation – the day the first taxi began plying the city’s streets. 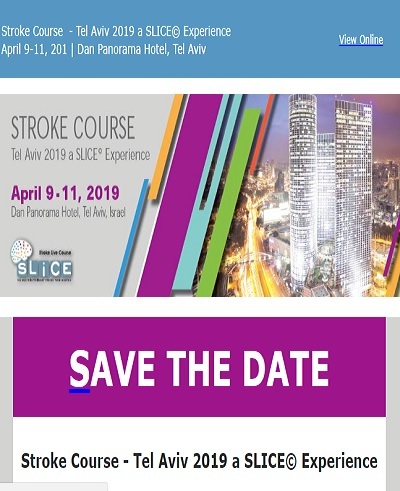 In a city of transformative events spanning millennia, it’s unlikely the anniversary garnered much attention, not only because today’s Jerusalem is awash in taxis, but also because Jerusalemites now have the option of being whisked through the capital via modern light rail. A passenger from Israel Bonds – the organization that has enabled major transportation advances throughout Israel – discovered that to ride the light rail is to experience a microcosm of the city’s diversity. Fellow travelers included secular Israelis, the ultra-Orthodox, devout Muslims and camera-toting tourists. With a route encompassing nearly two dozen stops so far – the Old City (providing the quintessential Israel experience of riding state-of-the-art transportation past a site of ancient pilgrimage), multiple neighborhoods, the Macane Yehuda Market and the downtown district – the light rail has changed the way residents work, shop and plan their days. With nearly two dozen stops, the Jerusalem light rail has changed the way residents work, shop and plan their days. Recent surveys show substantial increases in pedestrian traffic stemming from the greater accessibility provided by the light rail. Macane Yehuda, for example, has seen a 38 percent increase, and visits to the popular ‘triangle’ area of King George Avenue, Jaffa Road and Ben-Yehuda Street jumped 34 percent. Overall increases average 41 percent. Getting to and from the capital is also undergoing a dramatic reboot. Riding the rails from Tel Aviv to Jerusalem – a distance of less than 50 miles – currently takes 2 ½ hours. By 2017, the trip will shrink to a mere 30 minutes. The key to the drastic time reduction is the ambitious construction of a complex network of bridges and tunnels. And, because this is Israel, there are additional considerations beyond the obvious topographical challenges inherent in boring through hundreds of feet of solid rock. One is archeological. In Israel, any project entailing digging carries the distinct possibility of priceless artifacts being uncovered during the excavation process. If antiquities are discovered, work stops and archeologists are called in to examine the relics. The second consideration is environmental. Israel is a world leader in environmental sustainability, and Aliza Kutner – who describes her job with Israel Railways as “being in charge of all things green” – relishes her eco-friendly responsibilities. “I watch the process all the way through,” she declares proudly. This includes, first and foremost, ensuring everything in the construction path – flora, fauna, trees and even boulders – remains pristine. Kutner says this means much of the pre-existing landscape must be temporarily relocated while the tunnels are being constructed. It’s not an easy undertaking. Kutner must be attuned to differences, however subtle, that escape the eye of a casual visitor. Rocks, for instance. Kutner explains that rocks differ depending on whether they are scattered on top of a hill or deep inside where the tunnel is bored. Topsoil differs as well. Upon completion, the NIS 7 billion (approximately $1.8 billion) project will send trains racing across the country through tunnels that at some points will run 118 feet deep and 7.5 miles long. The projected schedule foresees four double-decker trains every 15 minutes during rush hour and two trains during off-peak hours.